The Wanneroo Street Food initiative is gearing up for a big summer season. POP up food trucks will be visiting 21 locations from Two Rocks in the north to Girrawheen in the south throughout the summer. 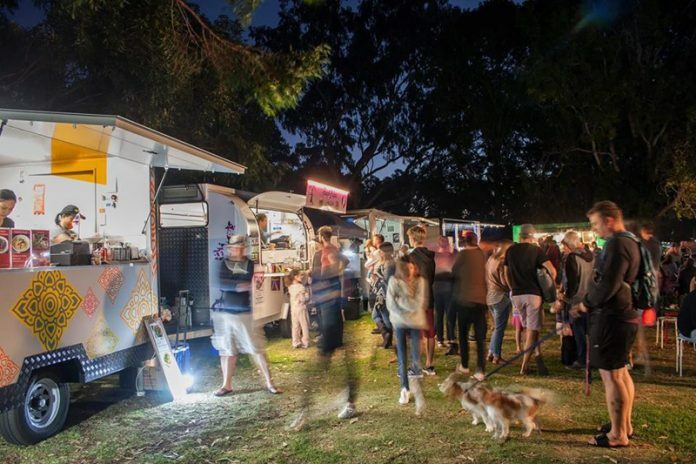 Food Truck Pop Up’s Wanneroo Street Food initiative, supported by the City of Wanneroo is bigger than before with events running five or six nights a week. The food trucks will visit the city locations until the end of April. Residents will be able to buy a range of dishes from around the world, including French crepes, Vietnamese banh mi, Southern-style barbecue and Mexican burritos. City of Wanneroo Mayor Tracey Roberts said the program was a great way to bring people to public spaces so they can socialise. “We are really excited to support Wanneroo Street Foods again this year, and at more parks than ever before,’’ she said. “Residents won’t want to miss the vast range of vendors serving high-quality food at great prices. “Supporting initiatives such as Wanneroo Street Foods is just one part of the city’s wider goal to foster community-focused and sustainable events that are fun, family-friendly and cost-effective to residents.” Food Truck Pop Up coordinator Peter Jenkins said the mouth-watering program offered something to suit all appetites. “We can’t wait to get back out there and bring great food to the people of Wanneroo,” he said.